PEBBLE BEACH, California, USA -- Volkswagen has confirmed plans to build a production version of its all-electric I.D. Buzz van in 2022 for consumer and commercial applications. 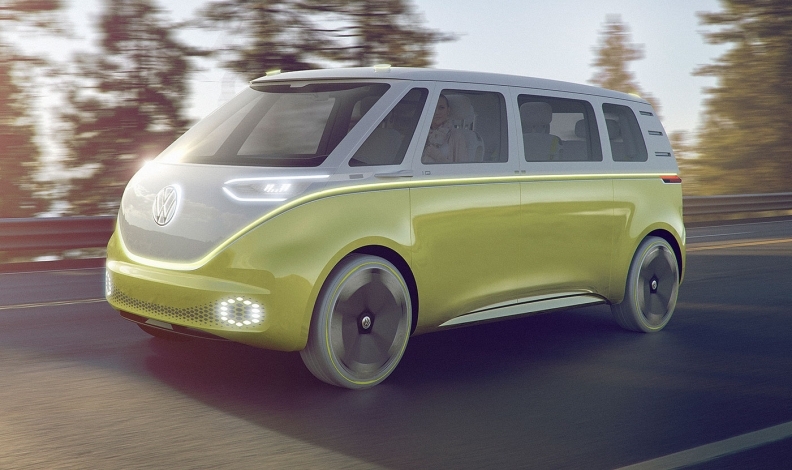 The van -- or microbus in VW parlance -- will have Level 3 autonomous capabilities in the commercial version. The Buzz will be one of three electric vehicles VW is planning on its MEB architecture. The family of EVs includes the I.D. Crozz SUV and the I.D. hatchback. The automaker confirmed the plans Saturday in Pebble Beach, channeling the California lifestyle that helped turn Volkswagen's Bus, known as the Bulli in Germany, into an icon in the 1960s. "The Microbus has always been part of the California lifestyle," VW brand CEO Herbert Diess said in a statement ahead of the debut. "Now we're bringing it back by reinventing the Bulli as an electric vehicle."